Welcome to the International 505 site. THE BEST TWO PERSON SAILING ON THE PLANET. The first thing you will notice about a 505 is sheer acceleration compared to other dinghies. It’s simply exhilarating and will make you never want to sail a slower boat again. Unlike skiffs and foiling boats, the 505 is incredibly stable and easy to control in strong wind and high waves. Almost every adjustment can be made on the water. Most adjustments can be made while under way, which makes racing incredibly dynamic. The boat is unique in that it has outstanding performance in all conditions. In light air, it is quick and responsive, and in the breeze, it just goes faster. THERE IS A REASON WHY THE 505 IS THE MOST SUCCESSFUL TWO PERSON SAILING CHOICE ON THE PLANET. FIND OUT WHY AMATEURS, PROFESSIONALS & OLYMPIANS ARE ALL RACING 505s AROUND THE WORLD. The 5o5, popularly known as the ‘Five-Oh’, was designed in 1957 and still gets well over 100 entries at World & European Championships. 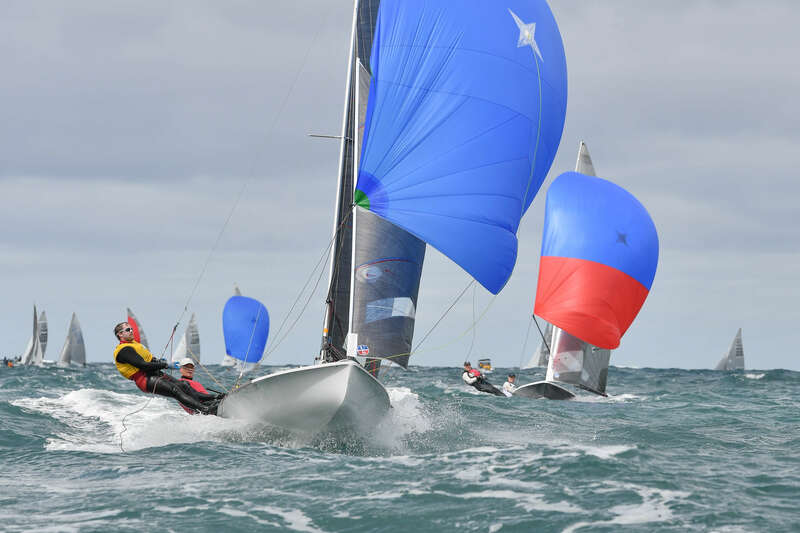 So with the exhilaration and challenge of modern skiffs & foiling boats available, why is the Five-Oh still raced so much around the world and why is it becoming even more popular in recent years? The answer to this question will depend on who you ask. And that is the fundamental reason for its success! No matter if you are an Olympian, World champion or an enthusiastic club racer there is fun and challenge to be had. Unlike many of the Olympic classes where sailors come and go, the 505 class has an extraordinary accumulated level of expertise and talent. People you will find at major events are Olympians, past Olympians, Pro Sailors and World Champions. They have been competing for many years. Often while they race other boats as well. So there is a continuously accumulating knowledge bank of all aspects of sail boat racing. This keeps raising the bar to ensure the World’s best are never short of a challenge and newcomers have access to probably the most complete encyclopedia of sail boat racing anywhere. The newer foiling classes are awesome. We should all try it. However with minimal training you can enjoy all that 505 racing has to offer without being lapped around the race course. The 505 rewards a more complete set of sailboat racing skills. 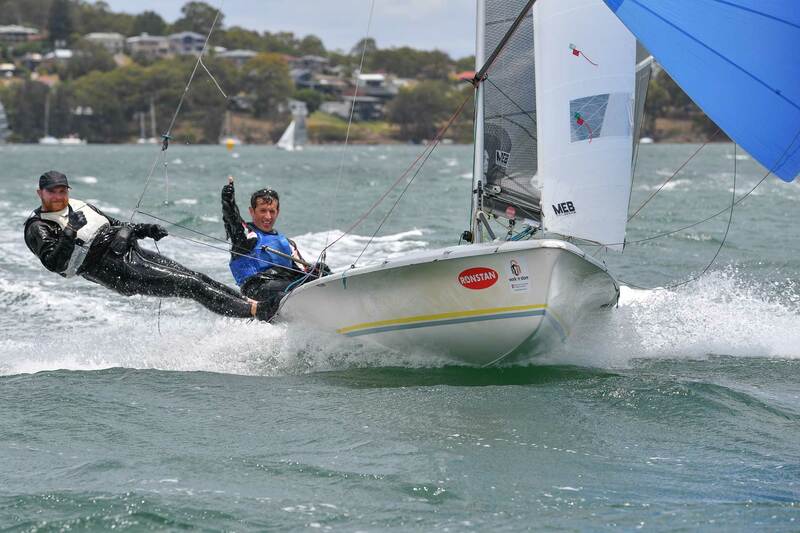 470s, 29er, 49ers, moths and even the foiling classes, have relatively restrictive crew weight limitations to be competitive. A strength of the 505 is the power controls it has while racing. Vastly different weight crews, male and female, young and old, can compete against each other in all wind and sea conditions which most dinghies and skiffs cannot handle. Add to that the camaraderie, championship destinations all around the world, and the fact that they are such a sweet boat to sail in all conditions and you have your answer.